It is not unusual for stains to sometimes reappear after spot cleaning. 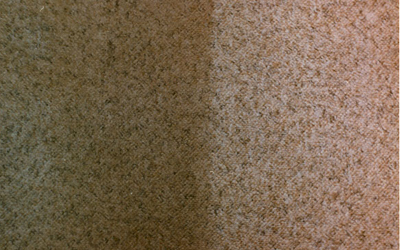 Wicking occurs when a liquid has been spilled from the carpet fibers. Liquid still remains in the carpet backing or padding. Through capillary action, the stains can "wick" back up into the carpet fibers. 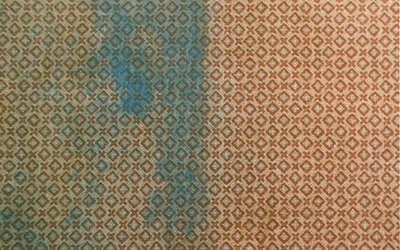 Residual resoiling occurs if staining substances or cleaning products are left in the carpet and attract soil. These stains are not permanent and typically can be removed by simply repeating these appropriate step-by-step directions listed on the above chart. Here are some additional suggestions. 1. 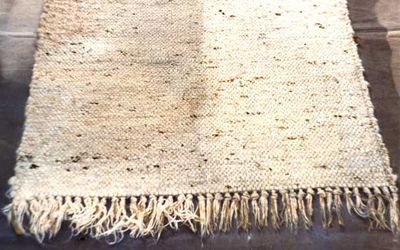 Avoid over wetting the carpet backing during spot cleaning and rising. Blotting to remove excess moisture reduces the occurrence of wicking stains. 2. Use a "wet-vac" to extract liquid from the area if possible. Paper toweling placed over the cleaned area and weight with a colourfast object will help absorb resurfacing stains. Use of fans to decrease the drying time will also help. For large stains, work from the outside of the stain to the center to prevent spreading. Mix a solution of 1/4 teaspoon of clear hand washing detergent with 1 cup of water. Stir gently. Apply detergent solution directly to a white cloth. Dampen the carpet fibers in the staind area with a cloth. Avoid saturating the carpet. If the stain is gone, place an absorbent white towel or paper towel over the area cleaned, and weigh towels down with a heavy, colourfast object. Do not use on coffee, tea, or urine stains. do not dry with papet towels. proceed to step 3 to neutralize the ammonia solution. 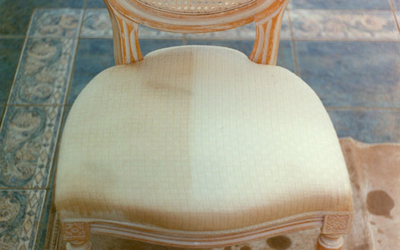 For large stains, work the outside of the stain to the center to prevent spreading. Blot up liquid spills, with a white towel or paper towel. Mix a solution of 1/4 teaspoon of clear dishwashing detergent with 1 cup of water. Stir gently. Apply detergent solution directly to a white cloth. Dampen the carpet fibers in the stained area with a cloth. Avoid saturating the carpet. If the stain is gone, place an absorbent white towel or paper towel over the aera cleaned, and weigh towels down with a heavy, colour-fast object, such as a weighted plastic wasetbasket. Change towels or paper towels until carpets dries. use a spoon or dull knife to remove soild materials. For these stains, use a citrus solvent applied directly to a white cloth. Dapem the carpet fibers in the stained area with the cloth. Avoid saturating the carpet. Blot up liquid spills with a towel or paper towel. And if you to ever use my services, I'll be thrilled (and so will you). But if you don't, that's fine. There won't be any hard feelings.